Professor Helena Ranta, a forensic orthodontist, has served as a member and director of forensic science research groups in conflict and disaster areas since 1994. 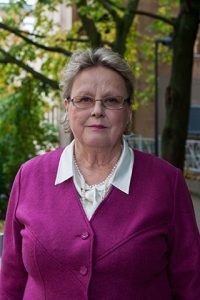 Despite her retirement in 2011, she continues to work at the Department of Forensic Medicine at the University of Helsinki and serve as a supervisor for two post-graduate students working on their dissertations. In 2014, she served as an EU-assigned expert on a project to develop forensic medicine in Kosovo. Her scientific publications deal with connective tissue diseases, fine bacterial structures, victim identification and international humanitarian law. Helena Ranta has investigated human rights violations and crimes against humanity in Bosnia–Herzegovina, Kosovo, Cameroon, Iraq, Chechnya and Nepal. Additionally, she has been engaged in investigative and training projects in Peru, Columbia, Libya, Afghanistan and Eritrea, and she served as a court witness and assistant in the Milosevic trial at the International Criminal Tribunal for the former Yugoslavia. She has called attention to the human rights of the dead and the importance of respect for the deceased. Her engagement in non-governmental organisations started in the 1990s with the Finnish League for Human Rights. Her positions include those of Vice Chair of the National Council of Women of Finland, the Plan Foundation, the Finnish Federation of Graduate Women and the Chair of the UN Women Finland. She has served as the Chair of the Finland 1352 Network (UN Security Council Resolution on Women, Peace and Security) and as a member of the Friends of the the UN Association of Finland. She has also been involved in the preparation of the 1235 National Action Programme. She holds an honorary doctorate from the University of Eastern Finland. She has been awarded the Cross of Liberty Medal, First Class; Cross of St. Henry; Lysistrate Peace Prize; and the Tammisaari 1918 Medal of the National Education Fund. Helena Ranta is a keen mushroom picker, has hiked extensively in Finnish Lapland, climbed the Kilimanjaro, walked the Santiago de Compostela Pilgrimage and been bird-watching in Spitzbergen, the Antarctic, Faroe Islands, Portugal and Montenegro. She has also driven across Australia. A frequent visitor to the Kuhmo Chamber Music Festival, she has held a season ticket to the Finnish Radio Symphony Orchestra for 50 years and takes a keen interest in poetry.